The Escape is built for ambitious and experienced riders who seek to amp up their riding to more extreme levels. The V5 Escape is a hard poppin’, big boostin’ freestyle machine that combines the best traits of multiple LEI design shapes into one. The result is a modern C-shape design that delivers its explosive power in a smooth and controllable way and offers performance for both hooked & unhooked freestyle tricks. To show off the Escapes performance, we’ve chosen the 2016 Red Bull King of the Air competition in South Africa for the Escapes first public appearance. At the KOTA, Willem van der Meij showed the world that the V5 Escape jumps massive and loops like a rollercoaster. Its C-shaped design gives it the ideal freestyle and wakestyle performance profile. 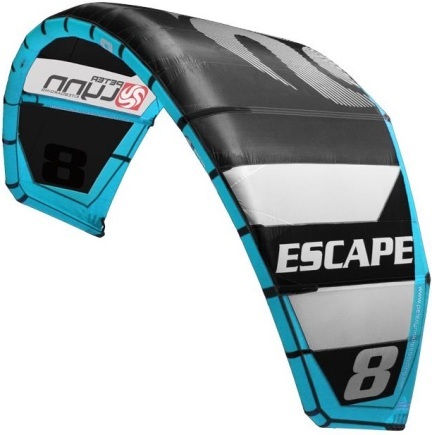 Combined with other attributes like great line slack, explosive pop, great hang time and soft landings, the Escape V5 is the ultimate freestyle machine that can pull you through some serious megaloops. Solid power through turns, absence of backstall and an intuitive & responsive feel make the Escape an excellent choice for the competing rider. 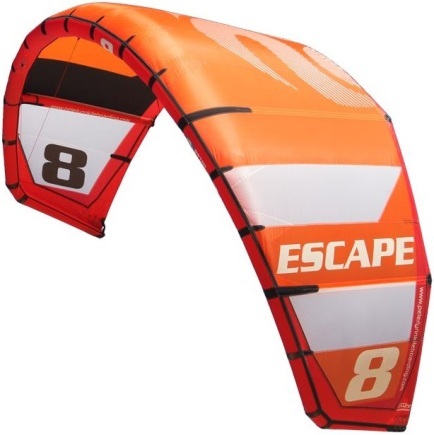 The Escape can handle a lot of wind and can be pushed in its higher wind range when flown by expert hands.